Disconnected wires caused an audio jack in a passenger seat of an Icelandair Boeing 757 to overheat and burn, according to a report released by the Icelandic Aircraft Accident Investigation Board (IAAIB). The Board initiated an investigation following to similar serious incidents. On September 18, 2008 TF-FIV, a Boeing 757-200 operated by Icelandair, was over Ireland, enroute from Barcelona Airport (LEBL) in Spain to Keflavik Airport (BIKF) Iceland, when a passenger complained that smoke was coming from the audio jack in the seat’s armrest. The armrest was hot and there was smell of electrical burning. The Senior Cabin Attendant notified the Commander, who then switched off the In-FlightEntertainment system (IFE). The armrest cooled down and the rest of the flight was without further incident. The aircraft landed as scheduled at Keflavik International Airport (BIKF) in Iceland a few hours later. The incident was notified to the Icelandic Aircraft Accident Investigation Board (IAAIB), which initiated an investigation into the cause of the incident. The system components were examined and tested at the manufacturer’s facilities in the United States under supervision of a representative from the National Transportation Safety Board (NTSB). No root cause was established during the examination. 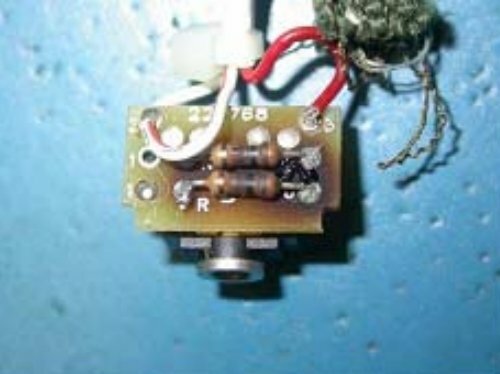 It was however established that a voltage source of less than 32VDC caused the audio jack to overheat. It was concluded that the occurrence was a single event and the manufacturer was going to monitor any future faults of this kind. The IAAIB decided not to investigate the incident further. On June 15, 2009 a second incident occurred of the same nature during pushback of a Boeing 757 aircraft from the terminal building at Keflavik Airport (BIKF) in Iceland. A passenger in seat 5F reported a smell of something burning and that the armrest of his seat was getting hot. When the audio jack was touched it was burning hot. The doors were opened again and a technician unplugged seat 5F from the IFE system. After a second push-back a passenger in seat 5D called and reported the same problem. The aircraft was brought back to the gate where technicians unplugged the electricity to both seats. After that the armrest cooled down and the aircraft departed Keflavik. The IAAIB decided to initiate an investigation into the incident and reopen the previous investigation. It appeared that disconnected wires inside a component caused a ~32VDC load to feed through the SVDU and through the audio jack return lines, causing the resistors in the audio jack to overheat and burn. A solution suggested by the IFE System manufacturer in order to reduce likelihood of recurrence was to replace current USB couples for new ones (re-design) which will, if loose cable plug situation arises, ensure that grounding will always occur and therefore prevent higher than normal voltage entering to the audio jack and prevent overheating.